Top 10 No Cost and Low Cost Tips for Saving Energy and Money Example: Air Leaks – If you feel warm or cold drafts in your home, particularly near wall outlets, windows, doors and fireplaces, then consider air sealing. Home Energy Self Assessment – Energy efficiency is an investment that can help you gain a return on your energy bill and on the value of your home. 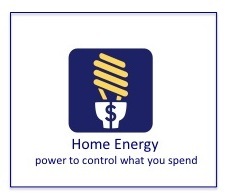 Save money by conducting a do-it- yourself home energy assessment. With a simple but careful inspection, you can identify areas in your home where you are losing energy. This checklist will help you organize your assessment so you can pinpoint the energy efficiency improvements you need to make. Online Resources – These are great resources on a variety of Residental Energy Conservation topics. Duke Progress home energy use report – Show homeowners what a utility company report looks like and how it can help them learn ways to conserve energy. Consider helping them explore their utility company website, investigate rebates and programs, etc. HVAC Resources – this document contains a list of helpful websites. Insulation Resources – this document contains a list of helpful websites. Air Sealing Resources – this document contains a list of helpful websites. Appliances Resources – this document contains a list of helpful websites.